Looking for something fun to do over February School Vacation Week? Faneuil Hall Marketplace is hosting “Movies at the Marketplace” from Monday, February 18 to Thursday, February 21, 2019. 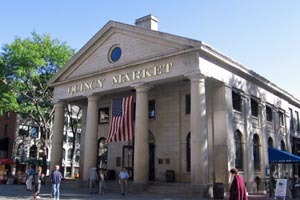 During “Movies at the Marketplace” there will be four free movies starting at 6:30pm in the Lower Rotunda of the Quincy Market building. All movies are rated PG and include “Incredibles 2,” “Hotel Transylvania 3,” “Coco” and “Paddington 2.”Be sure to visit Quincy Market or one of the many restaurants for a bite to eat before the movie starts. Bring the kids and enjoy a movie in this unique space for a night of relaxation and family fun.